Disability can affect anyone no matter his or her level of education, amount of money made before becoming disabled, or social status. The reality is that when someone becomes disabled and can no longer work, if that individual did not have private long term disability insurance (most people don’t), he or she will have a tough time getting social security disability insurance (SSDI) benefits without the assistance of an attorney who regularly handles disability matters. 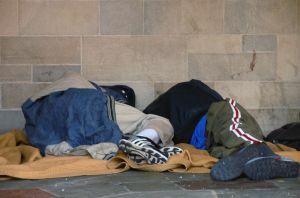 According to a recent news article for the New Britain Herald, one new program in Connecticut is aimed at helping the homeless get disability benefits and social security benefits so they can afford to live and get the medical attention they need. The problem is that the Social Security Administration (SSA) has created a system that is geared towards denying people benefits and delaying the process. It is not merely a case of too many applicants and too few claims employees. This is evident by the fact that nearly every application is denied after being filed. It does not matter what the disability is or the claimant’s need. When an unrepresented claimant files an application for benefits, they will likely get a denial. At this point, the process that the article notes can take years. The denied claimant can submit a request for reconsideration that is essentially the first appeal opportunity, and the application will most likely be denied again without a hearing. At this stage in the process, the application is peer-reviewed by an SSA employee who might be sitting in the cubicle next to the employee who initially denied the application. After one or more of these appeals, claimants can request a hearing before an administrative law judge (ALJ). As our Boston disability lawyers can explain, unless the claimant properly requests that the application be fast tracked, it can take well in excess of a year to be granted a hearing before an ALJ. At this point, the ALJ has a Vocational Expert (VE) testify as to what jobs claimant can work in the national economy, regardless of the pay or financial needs of claimant. Let’s look at an example of how this harsh and unjust process unfolds in the case of an unrepresented claimant. The claimant was working as a truck driver making over $65,000 per year and taking care of his family. He suffers an injury that causes him to lose vision in one eye and can no longer drive a commercial motor vehicle, as well as other injuries that make lifting or walking difficult. The VE uses a set of guidelines created by SSA and finds that claimant is able to work as a grocery bagger making minimum wage and is therefore not disabled and is not entitled to any benefits. As you can imagine, this is not a workable solution. While this may seem like a far-fetched example, this is exactly the type of decision made every day by ALJs at SSA. One of the best things claimants can do to avoid unnecessary delays and have a realistic chance of obtaining a fair disability award is speak with an attorney as early in the process as possible.